Affectionately called as Chai, Tea is India’s favourite addiction whose aroma exists in almost every household in India. Currently, India is the second largest producer of tea in the world after China and the fourth largest exporter of tea in the world. However, more than 70% of the tea being consumed within India itself. Tea serving is popular across India from roadside tea stalls to corporate boardrooms and five star hotels. 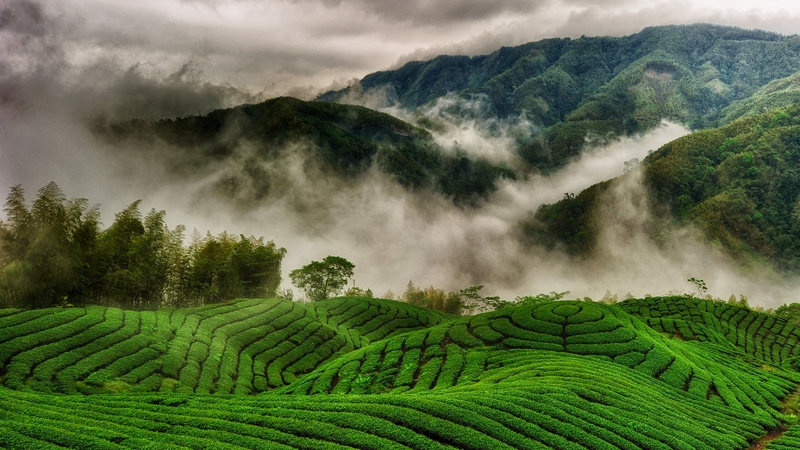 West Bengal, Assam, Tamilnadu and Kerala are the major tea plantation regions in India along with Himachal Pradesh. Started during the days of British, the tea produced in India is of one of the finest qualities in the world, especially Darjeeling and Assam teas. 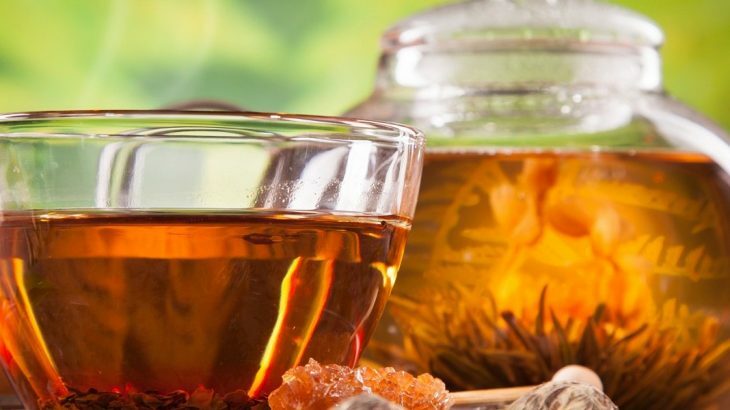 The Indian tea industry has grown to own many global tea brands, and has evolved to one of the most technologically equipped tea industries in the world. If you’re a tea lover, then visiting a tea plantation in India should be on your list as these are the places of beauty and serenity. 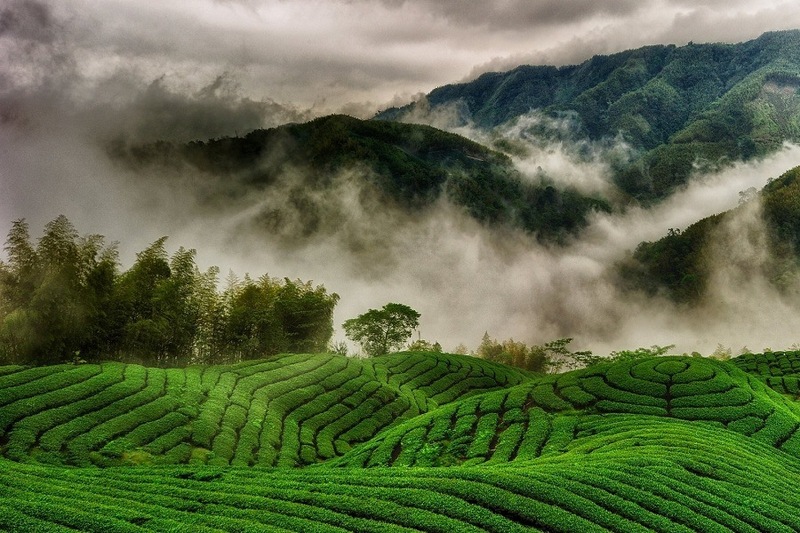 Trawell.in presents 7 best Tea Plantation Trails in India here. a true connoisseur as part of Darjeeling Packages. Happy Valley Tea Estate, Glenburn Tea Estate and Makaibari Tea Estate are some of the popular Tea Plantation Trails in Darjeeling, West Bengal. Established in 1850, the Happy Valley Tea Estate offers the only guided tea factory tour in Darjeeling as it isone among the best places to visit in Darjeeling. One can also stay at Glenburn Tea Estate and Makaibari Tea Estate for an unforgettable gastronomical experience. Assam, the birth place of Indian Tea, is world famous for its high quality of tea as well as the natural beauty. Having 2,16,200 hectares of tea gardens, Assam is the largest contributor of tea in India and also the only region globally where tea is grown in the plains. Jorhat is the largest tea growing area in the world and is often referred to as the “Tea Capital of the World”. Assam Tea is a black tea produced from large-leaves of tea plants which has a unique malty flavor. Jorhat has more than 135 tea gardens across Brahmaputra River Valley. Gatoonga Tea Estate, Mancotta Tea Estate, Addabari Tea Estate, Borhat Tea Estates and Khongea Tea Estate are few renowned estates producing some of the finest tea in Assam. One can also visit tea factory while staying at Banyan Grove on Gatoonga Tea Estate. Alternatively, Wild Mahseer in Addabari Tea Estate offers newly renovated historic tea planter bungalows on the banks of the Brahmaputra River. Larger number of tourists flocks to Assam during Assam Tea Festival, held in November. Popularly called as the Blue Mountains, Nilgiri Hills are part of the Western Ghats in South India. At altitude range of 1000 m to 2500 m, the Nilgiris provide shelter to some of the best hill stations in India like Ooty and Coonoor. Along with this, the hills are famed for its sprawling tea plantations which produce distinctive dark and intensely aromatic tea since 100 years. 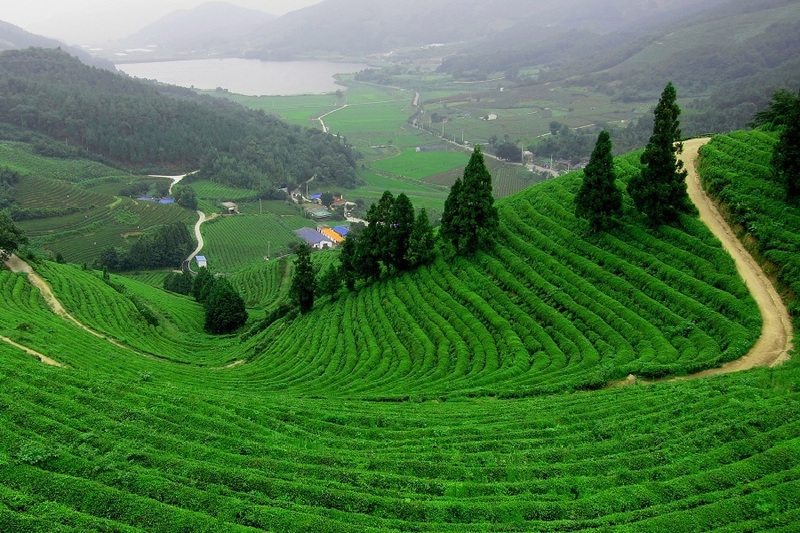 Unlike Darjeeling and Assam, the hilly landscape of Nilgiris produces tea throughout the year. The major teas produced on the Nilgiri hills are the Oolong and black tea. The aromas and flavors of these are highly distinct from the rest of India. Kodanad Estate, High Field Tea Factory, Lockhart Tea Estate and Glendale Tea Estate are some of the popular tea plantations in Nilgiris. 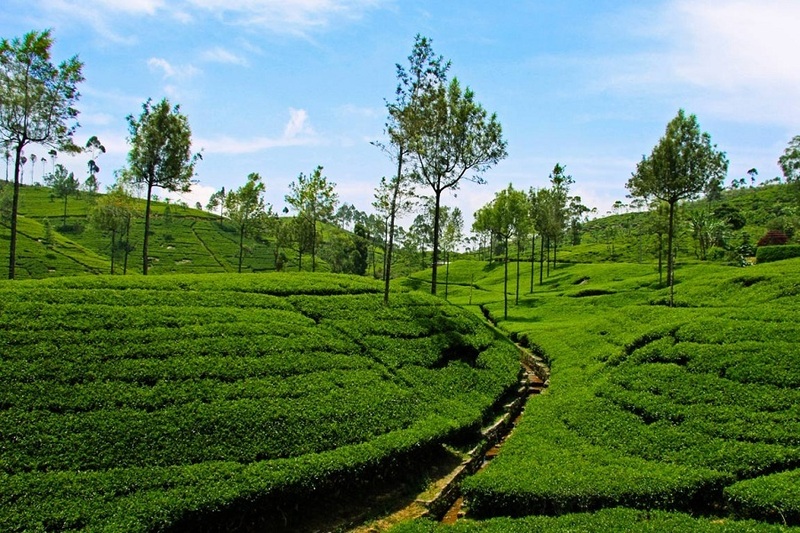 Coonoor is an excellent place to explore the rich aromatic tea plantation of Tamil Nadu as part of Ooty Tour Packages. Visit the Highfield Tea Factory and Tranquilitea Tea Lounge where you get an opportunity to slurp some dark and exotic teas along with plantation tours. One can also stay at Tea Nest and O’land Plantation Stay, which offer soothing accommodation and charming ambience. 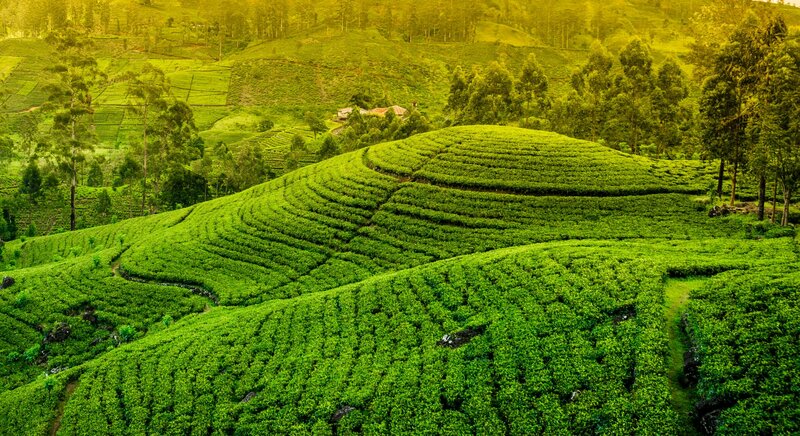 Often referred to as the ‘Kashmir of South India’, Munnar is a fascinating hill resort synonymous with rolling hills that are carpeted with verdant tea plantations. This is one of the popular Places to visit in Kerala and among the most must include places in your Kerala tour packages. 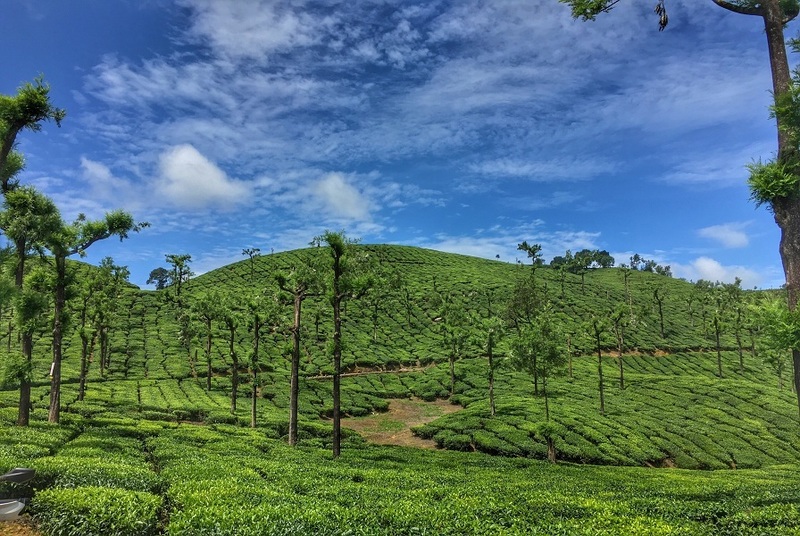 Owing to the presence of large tea estates, Munnar is a prominent hub of tea trade in the country and is recognized for having some of the most beautiful tea gardens across the globe. This pristine hill station has more than 50 tea estates. Most of the plantations are taken over by the Tata Group Kannan Devan Tea Estate. 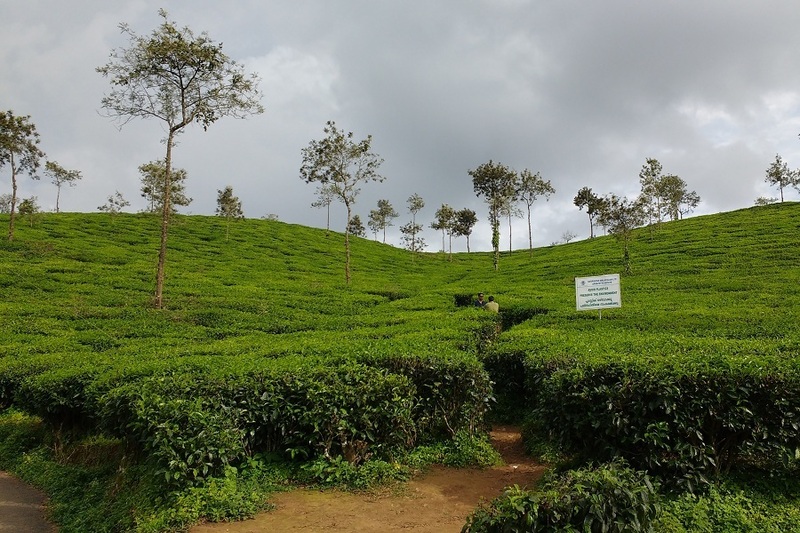 Harrison Malayalam, Pallivasal Tea Estate, Anayirankal Tea Estate, Lockhart Estate and Kolukkumalai Estate are some of the well-known tea estates in the region. 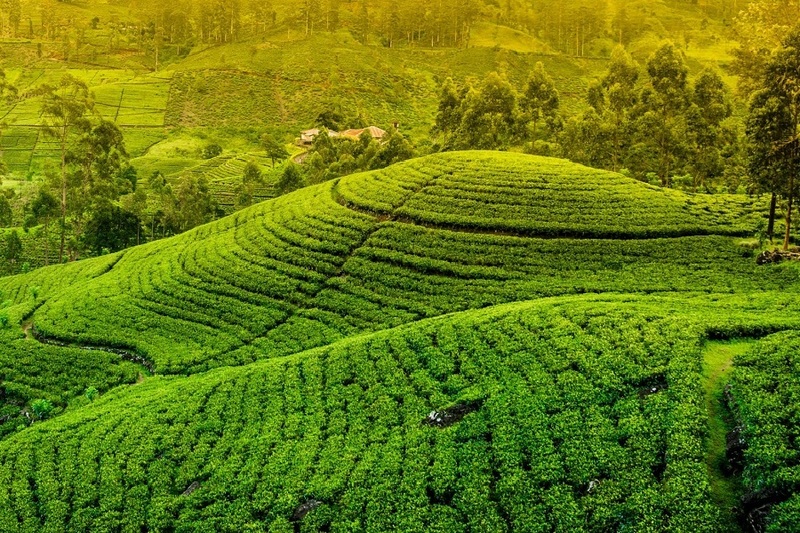 Visitors can go for a Tea plantation walking tour which provides you the best glimpses of tea plantations as well as the picturesque landscapes of Munnar. As part of Munnar Tour Packages, one can make a visit to the India’s first Tea Museum at Nallathanni Estate to take a fascinating look at the history of tea production in Munnar. The Tea Harvester, Dream Catcher Plantation Resort and Gruenberg Tea Plantation Haus are recommended for tea plantations stay in Munnar. An erstwhile retreat of the British, Palampur is a small, offbeat destination as well as a major center for tea production in Himachal Pradesh. 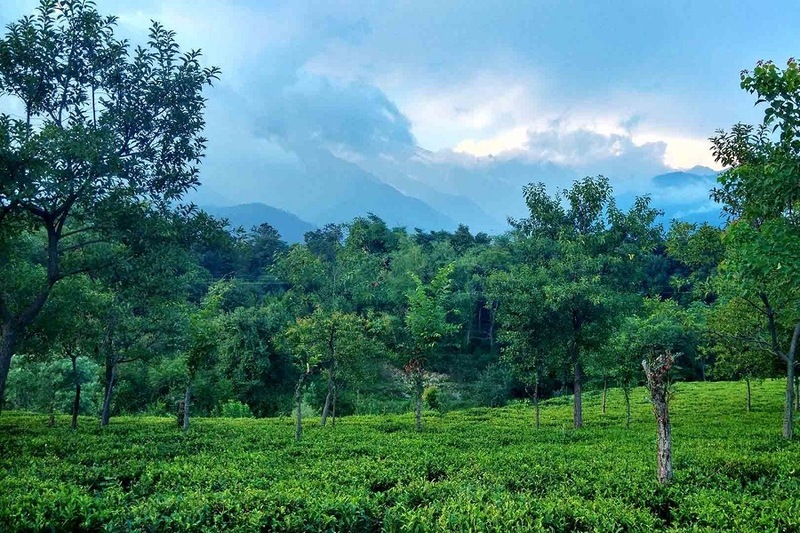 Against the backdrop of the dominating Dhauladhar ranges, Palampur is rightly known as the Tea Capital of North India and is famous all across the country for its vast spreads of lush tea gardens. Tea was introduced to Palampur in the mid-19th century by Dr. Jameson, and since then the place has become quite famous for its specialty teas, especially for its Kangra Tea. Palampur is the perfect place to witness the vast tea gardens and the tea making process in great detail as part of Himachal Tour Packages. One can also visit the Palampur Co-operative Tea Factory where you can see to see the complete process of plucking, picking and processing of tea, as well as the commercial production of tea. Wah Tea Estate, Holta Tea Estate, Bundla Tea Estate, and Darang Tea Estate are the popular tea estates in this region. One can stay at Country Cottage Tea Garden Resort, The Lodge at Wah and Norwood Green. Wayanad is one the popular hill stations in South India and among the most fascinating hill stations in India. It is the second most important tea plantation area in Kerala after Munnar. Vythiri and Meppadi are the main areas to see some of the tea plantations in Wayanad. Wayanad is one of the biggest foreign exchange earners of Kerala with its production of cash crops like pepper, cardamom, coffee, tea, spices and other condiments. The tea in Wayanad grows in distinctively different soil and environmental conditions. Wayanad is a wonderful hill station for 2 day trip from Bangalore. Elstone Tea Estate, Achoor Estate, Jessie Tea Estate, Chundale Estate, Sentinel Rock Estate, etc. are the major tea estates here. Most of the tea plantations areas are maintained by large tea estates like Priyadarshini Tea Estate and Arrepatta Meppadi Tea Estate. Priyadarshini Tea Estate is a government-run estate that was formed in 1984 for the rehabilitation of the bonded tribal people, particularly from the Paniyar tribe, of Wayanad district. Many resorts and home stays arrange plantation tours as part of Wayanad Packages. It also boasts of a factory & tea museum which provides interesting facts on the history of tea globally and in India. At an altitude of 3,500 feet, Valparai is a cute hill station situated in Tamil Nadu’s Annamalai Hills. It has number of tea and coffee estates surrounded by thick forest. In 1864, the town switched from coffee plantations to the mossy clumps of tea bushes that now carpet the area as far as the eye can see. Apart from the vast tea plantations, Valparai is known for its rich elephant tract and leopard population. The Valparai range is also the habitat of Nilgiri Tahr. 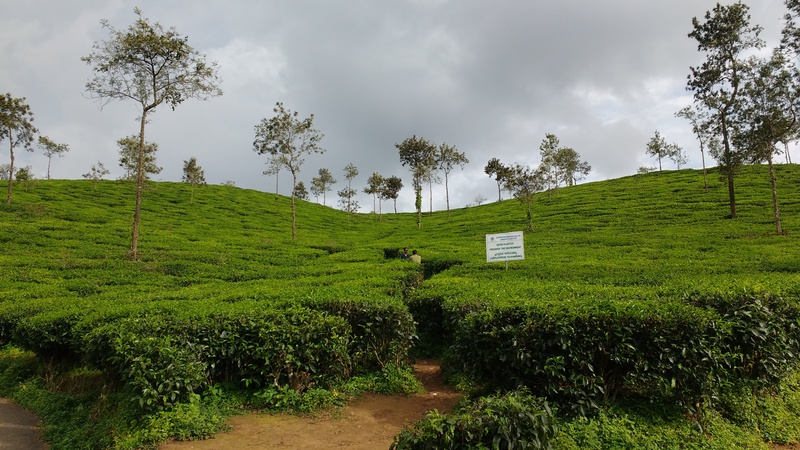 Pachai Malai Estate, Anaimudi Tea Estate, Murugalli Tea Estate, and Sheikalmudi Estate are the popular tea plantations in Valparai region. One can stay at Briar tea bungalows and Sinna Dorai’s Bungalow as part of Tamilnadu Packages. All, Destinations India Tea Plantation Trails, Tea Estates in India, Tea Plantaion Trails in India, Tea Plantation Tours in India. permalink.